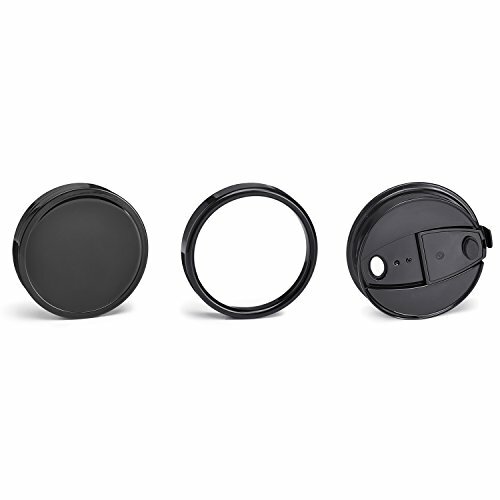 Product prices and availability are accurate as of 2019-04-10 16:47:39 EDT and are subject to change. Any price and availability information displayed on http://www.amazon.com/ at the time of purchase will apply to the purchase of this product. The REP+ comes equipped with a powerful 700 watt motor to handle anything you throw at it. 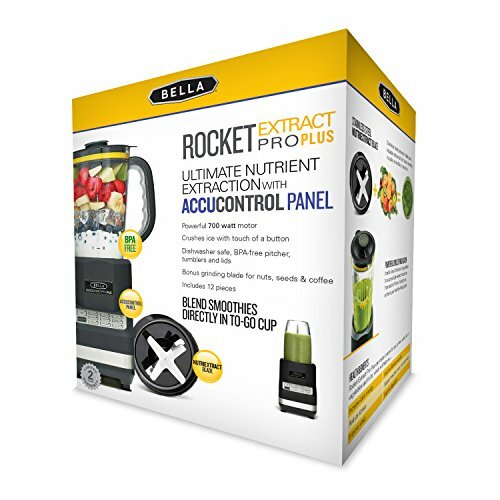 Additionally, the AccuControl panel gives you 10 pre-programmed functions that ensure you get the same amazing results every time you blend. 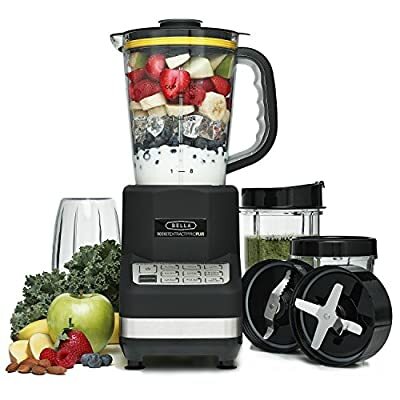 It features specialized functions such as a designated smoothie option, high/low speeds, blend, chop, pulse, grind, puree, ice crush and even a frozen drink option! Complete with two high powered stainless steel blades, this blender doubles as a food processor. 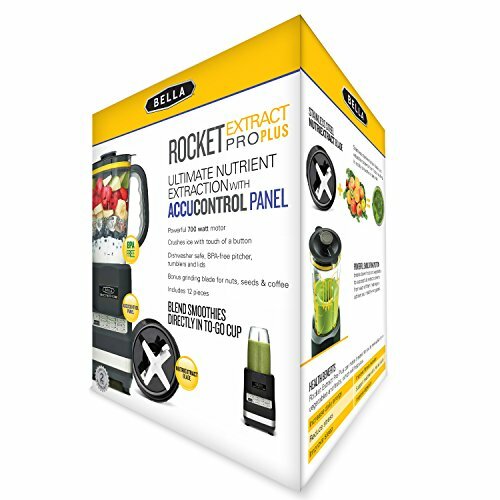 Make frozen drinks, smoothies, spices, soups, sauces, dips for chips and even baby food with the Rocket Extract Pro Plus personal and family sized blender!